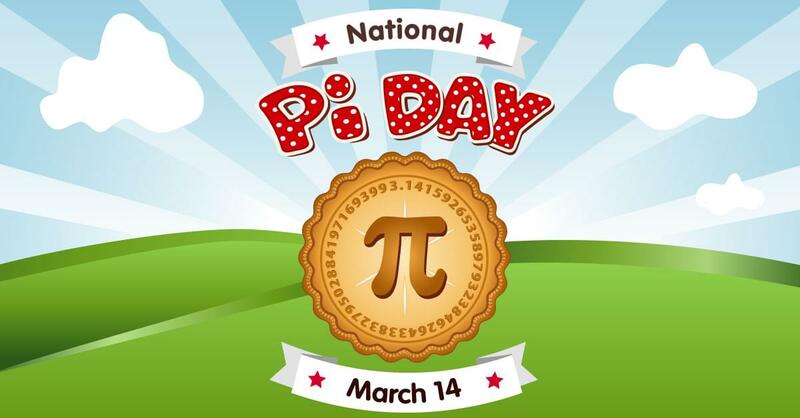 Pi Day is the holiday to celebrate the mathematical constant 3.14 (circumference of a circle to its diameter), nationally celebrated on March 14th and yes, usually celebrated with Pie – the dessert and Italian variety! Many restaurants have a Pi special or freebie going on this day – Check out the list below! Bj’s Restaurant & Brewhouse: Get a mini one-topping pizza for $3.14 on 3/14. Dine in only. 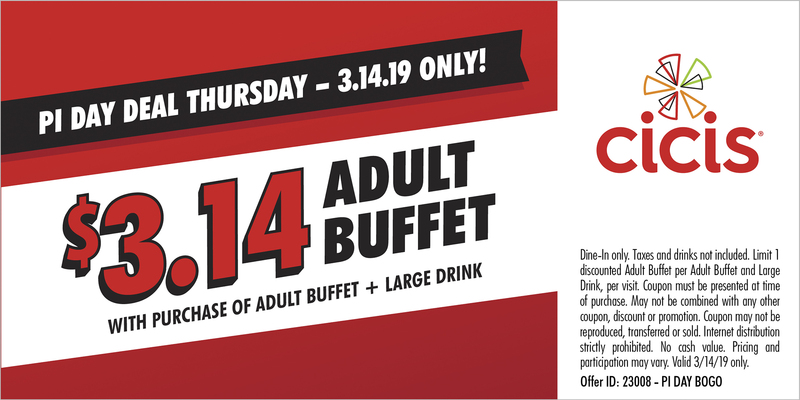 Cici’s: Buy one adult buffet and large drink Thursday and get a second adult buffet for $3.14 with a coupon. Hungry Howies – With the purchase of any Howie Bread at regular menu price, get a medium one-topping pizza for $3.14 with promo code 19PI. Carry out orders only. Jet’s Pizza: Buy a large pizza at regular price Thursday and get a medium one-topping round pizza for $3.14 with code 314. While supplies last. Pieology – Buy one Artisan Thin Pizza, get a second for $3.14 Thursday. Plus, Pie Life Rewards members making a purchase on Pi Day will get $2 off their next order. Pizza Inn: New and existing reward members get a Chocolate Chip Pizzert for $3.14 Thursday. Be sure to check with the retailers for any restrictions and participating locations.